Macrame is really everywhere at the moment. I took my first macrame workshop in Tofino in June and loved/hated it. I think I had this idea in my head of what I wanted it to look like and it definitely did not come out that way. (It's still sitting on the ground in my living room waiting to be hung.) 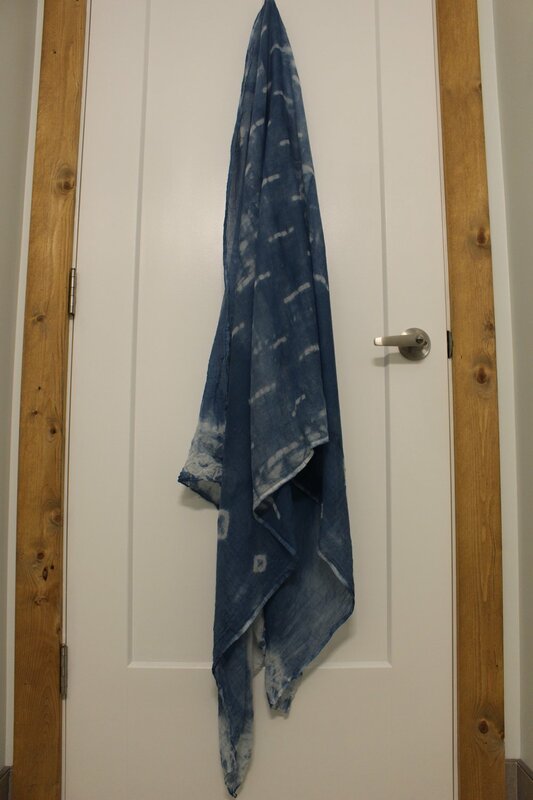 When I saw The Den in Ucluelet was hosting a workshop last month I quickly signed up, especially after enjoying the Indigo Dye workshop so much. I was determined to make something I loved and would hang in my home instead of splurging on a piece that would probably cost way more than I can afford. The workshop was great, I would highly recommend taking any of Diane Rudge's workshops in either Ucluelet, Vancouver or Squamish. She's not only a talented artist but also a really knowledgeable teacher that helped everyone out as a class but also individually. The class was set up with 8 pieces of wood hanging around the room where each of us chose our own spot. Then we each got our rope, which was a considerable amount, perfect for making whatever you design your heart desired. Plus Diane had more supplies to buy if need be. She taught us the three major knots we needed to know. We started with the simplest knot, the square knot and practiced a few rows. Then we moved onto the spiral knot which is pretty similar to the square knot. Finally ending with the whip knot (don't count on these names being right, I don't remember everything I learned just how to actually do it.) I decided to work with the whip knot the most which gave my piece the diagonal lines that came into an inverted triangle. In between each line I did square knots to break it up and I really liked the symmetry of my piece. I finished the very symmetrical piece with some random knots and let the rest of the rope hang loose to give it a contrasting unfinished look. I hang mine in my kitchen above the kitchen table and I absolutely love it. I can't wait to make my next one, hopefully in a different design and maybe with some coloured ropes or with a hanging basket inside. My aunt has the most amazing farm in Cowichan Bay and grows lots of beautiful produce, the best garlic you've ever tasted (don't tell my dad) and these miniature gourds. Who doesn't love a mini pumpkin, especially in white? I decided since life has slowed down quite a bit I should get back to my crafting ways and what better way then to decorate the house with some seasonal decoration. Especially before the craziness of Christmas begins! I used to craft a lot when I was younger, but as I got older I found myself putting down those projects and just chalking up to being busy. It's nice to get back to it and turn the TV off, put the phone away and actually relax while making something. It was super easy and they turned out really cute. 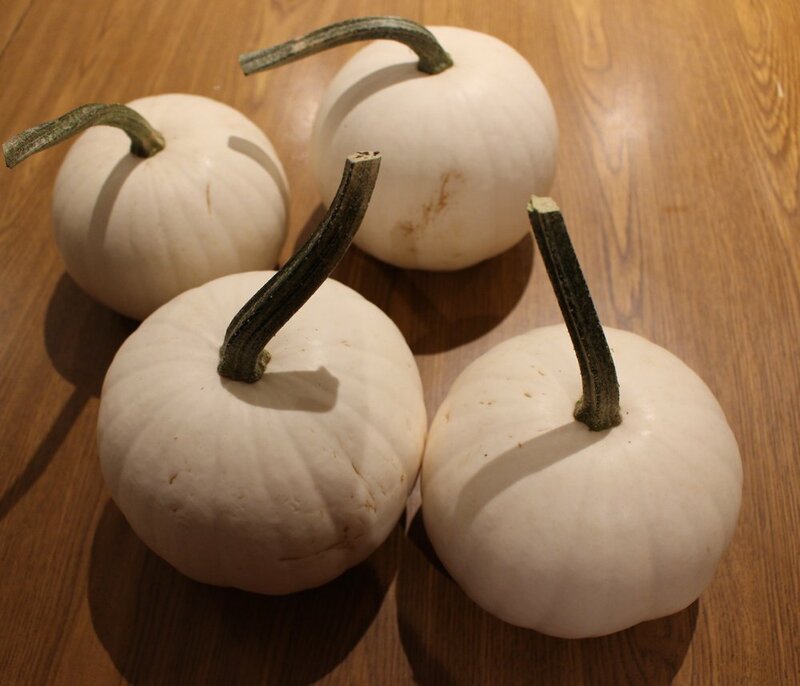 I chose to work with all white pumpkins but you could go for the little orange ones as well. 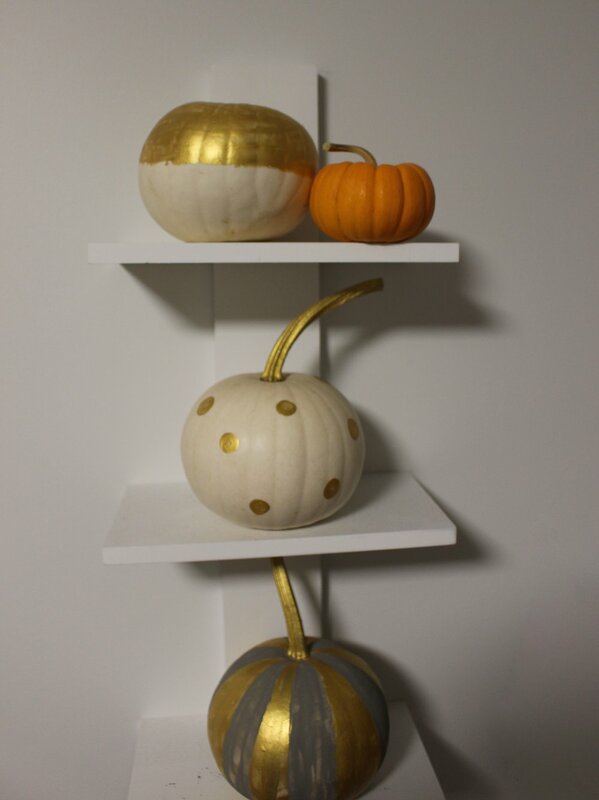 I also decided gold and grey paint would be simple and chic and less chance of making them look tacky. 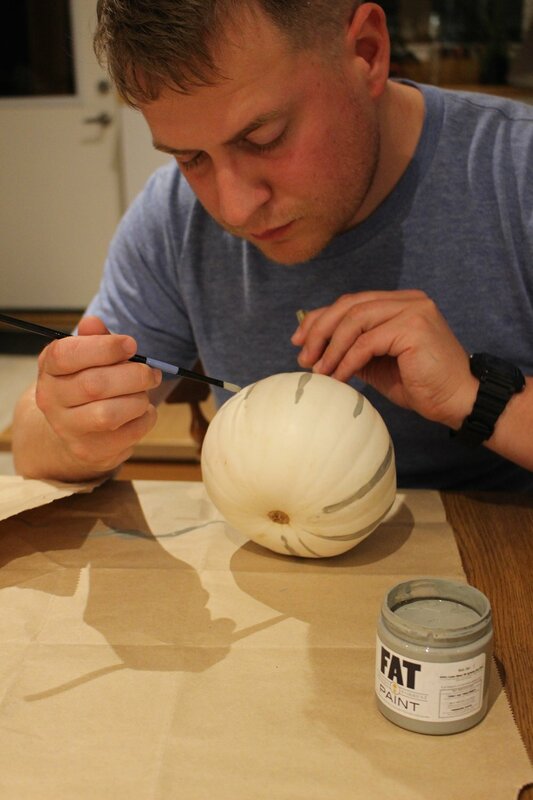 All you need is a small paint brush, some cheap paint and you can do whatever you want! My favourite pumpkin I did was the polka dot one. Dave worked on a really cool striped one in grey and gold. Then I did a half golf, half white pumpkin, a paint drip style one and then a sort of paint brush/splatter style. I placed them around the living room and on the kitchen table for a sort of centre piece for when people come to visit. An easy way to get in the Fall and Halloween spirit! 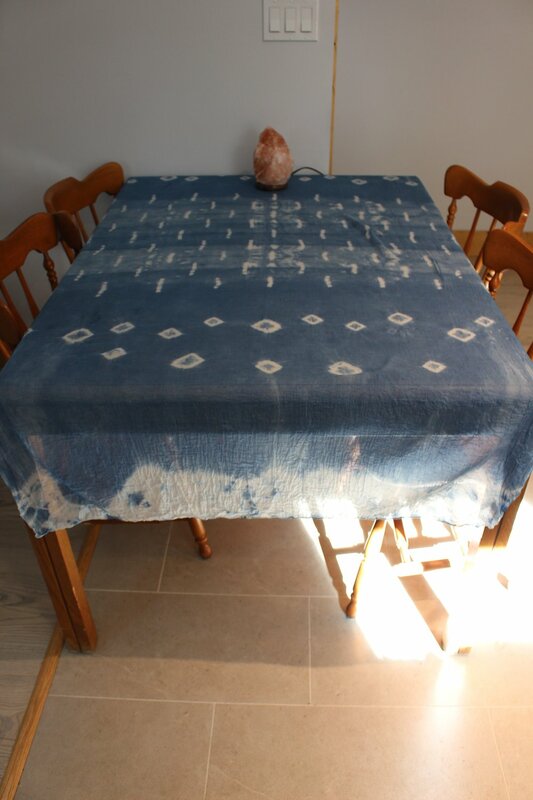 A couple weeks ago I had the pleasure of taking part in an Indigo Dye Workshop at The Den Studio in Ucluelet. 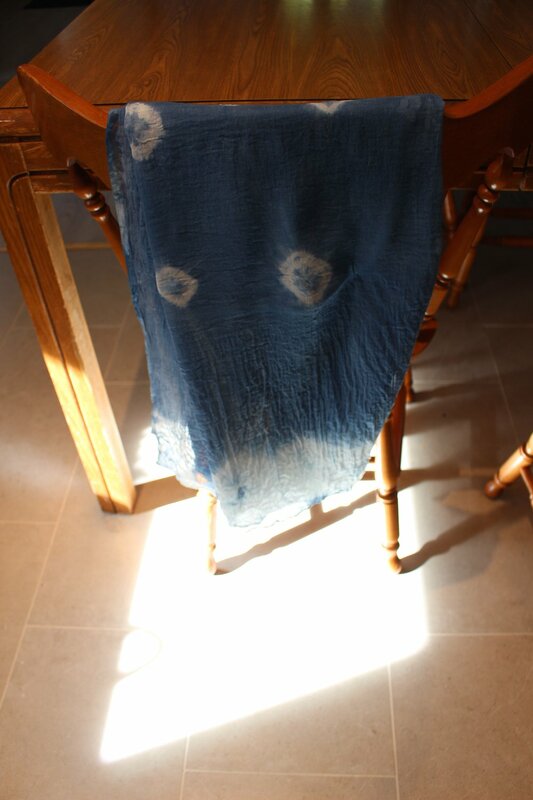 I had never dyed with indigo and I was so excited to learn a new skill. I've only ever tie-dyed in the past, either as a kid or and adult making costumes or something of the sort. This process was completely different and a lot more skill based than any dyeing I had ever done and I'm so excited to continue trying to make different things in the future. The Den Studio is an art studio, community space and shop located on Cedar Road in Ucluelet, BC. It recently opened this past summer and if you haven't checked it out yet I would highly recommend it. The space is intended for artists and creative people to come together and create. It also functions as a community space where they host workshops and events. Check out their space, website and Instagram: @theden.studio to find out more. After this past workshop, I am already getting excited for their November workshops where they will be offering a Macrame workshop, which I can't wait for! The Indigo workshop was a three hour evening where we learned about traditional Shibori and Itajime techniques for dying with indigo. We learned how different tools could make different patterns and designs and were sent home with our own 2 metre piece of dyed organic cotton. Diane Rudge was the host and teacher of the event, an artist inspired by all things West Coast who works with indigo, macrame, weaving and so much more. Check out her Instagram: @dianerudge to see some of her wonderful creations. For my piece I was inspired by a few techniques that Diane showed us and how to accomplish them. I folded my piece of fabric in an accordion fold to get symmetry in the centre of my fabric and used clothes pins to get the rectangular shapes. My next step was to use dried chickpeas wrapped with elastic bands to get my sort of circle/square objects interspersed on either side of the rectangular shapes. Finally on the ends of my fabric I tied it up to get some more pieces that were left un-dyed, creating more white space to even out the amount of blue I had throughout. Next time I try dyeing I think I will try a different technique we learned, however, I was so happy with how unique and interesting my own piece was. I still haven't decided what I will end up doing with it. I'm considering either curtains, a scarf, a tablecloth or napkins, guess I have to just dye some more so I don't have to decide on just one! Clothes pins, chickpeas & elastic bands should do the trick!